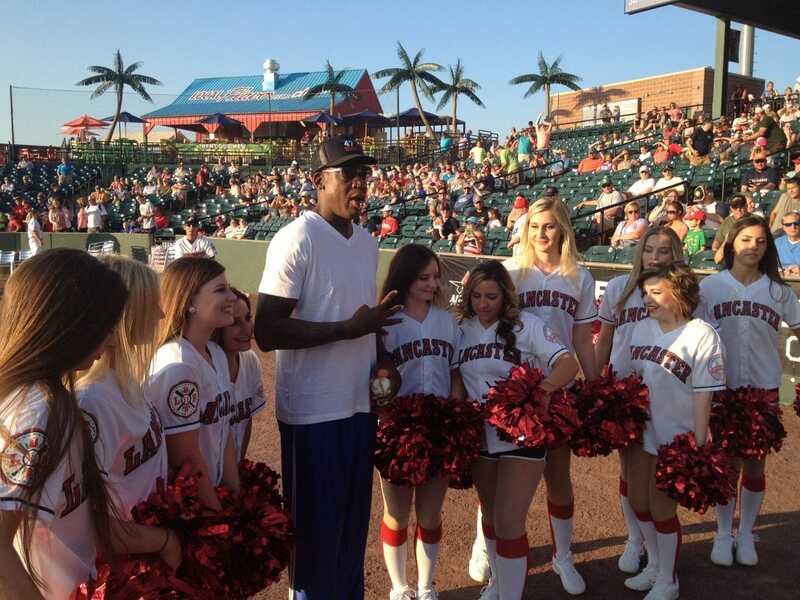 NBA Hall of famer and Prince Marketing Group client Dennis Rodman attended the Lancaster Barnstormers game on Saturday, August 20, 2016 against the York Revolution. 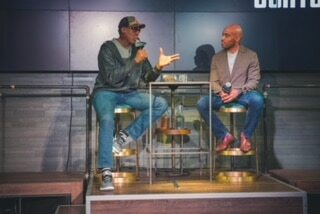 Rodman delighted fans by throwing out the ceremonial first pitch, and then attended a Meet & Greet that contained and autograph session for select fans. Rodman put together an incre dible 14-year stretch in the NBA during which he made two All-Star appearances, won four rebounding titles and, most notably, played on five NBA championship teams. The New Jersey native began his career in Detroit, where he spent seven seasons and won two NBA titles. He moved on to San Antonio for two seasons. While he was known as a top tier basketball player, it was his next career move that made him a sports icon. For the 1995-96 season, Rodman joined the Chicago Bulls. Teamed with Michael Jordan, Scottie Pippen current Warriors head coach Steve Kerr and Ron Harper, the Bulls won the NBA title all three seasons Rodman was there. As great as Rodman was he may be more remembered for dying his hair an assortment of colors, a variety of piercings and a wild wardrobe.